In 1987 The Bangles had a massive hit with a song called “Walk Like an Egyptian” … (oh whey oh). It reached number one with over a million copies sold. All good and well but what does it mean to walk like and Egyptian? Is it possible to distinguish and Egyptian from any other nationality just by the way they walk? I think not. Egyptians walk just like you and I and everyone else. However, if you check out Egyptian pyramid graffiti it’s no wonder that when music producer Liam Sternberg observed people on a ferry walking awkwardly to keep their balance, it reminded him of the figures in these ancient Egyptian paintings … and just like that, a song was born (oh whey oh). These days if you are see someone walking like an Egyptian, and they are not on a ferry, the chances are that they are shitfaced and could be from anywhere in the world, although if you asked them, they probably wouldn’t know where. Funny walks aside, ancient Egypt gifted the world many amazing things. They invented eye makeup, black ink, wigs, the door lock, papyrus sheets, the sickle, the shadoof (Google it … I had to), toothpaste and breath mints, the ox-drawn plough and enough mummified corpses to keep archaeologists busy until Ra burns out. That these are Egyptian inventions is largely undisputed but there is one exception…. Glass. Here there is some debate. The ancient Roman historian Pliny suggested that Phoenician merchants were the first makers of glass in the region of Syria around 5000BC. But according to archaeological evidence, the first man made glass was made in Eastern Mesopotamia and Egypt around 3500BC and the first glass vessels were made about 1500BC in Egypt and Mesopotamia. Disagreements aside, the Egyptians get my vote. Why? Because “Walk Like an Eastern Mesopotamian” just doesn’t sound right. For the Ancient Egyptians glass was regarded as an artificial semi-precious stone. It was a costly novelty reserved for nobles. Glass jewellery was much sought after and treasured as were an array of vases, ornaments and figurines. I knew a man who purchased random household appliances and kept them in his the boot of his car. When asked why he had half of Take-A-Lot in his boot, his answer was “Prizes”. Probed further he revealed that whenever he got home late from golf, he’d take one of the appliances out of the boot, give it to his wife and explain that he was late because he had stay for the prize giving. Regardless of their ingenuity, I damn sure that toasters and kettles were not an option for your average ancient Egyptian nobleman, but glass was. I can see it now …. old Montuherkhopshef, pissed as parrot, walking like an Egyptian in on his way home after night out at the “Sphinx & Sand”, clutching a glass figurine to palm off on his wife as a prize he’d won in a chariot race. It’s true. Ancient glass was precious, beautiful, sought after and treasured. A few weeks ago I discovered a modern day treasure. 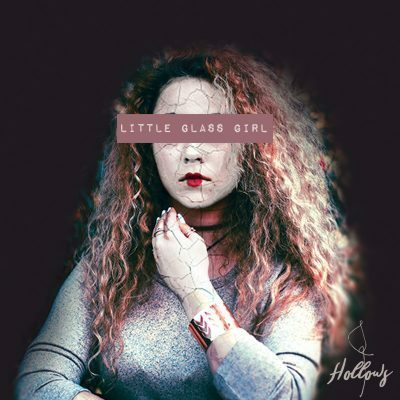 It’s a “Little Glass Girl” and it’s the debut EP by Johannesburg neo-soul musician Lily Hollows and I love it. Recorded at the Hit Lab and produced by Neil Engel, this five track EP is an assertive offering by a budding new artist. It follows hot on the heels of two single releases, “Daddy I’m Gone” and “Don’t Look Back”, both of which have enjoyed airplay on radio stations across South Africa. The EP speaks to the human tendency to try to please others at the expense of one’s own happiness. It’s about a girl who tried to turn herself into something universally attractive in order to catch someone’s eye, only to discover that glass is fragile and that the very things that originally made her different were her greatest strengths. “Little Glass Girl” is more than a just a collection of songs. It’s summation of 19 years of Lily’s personal exploration into notions of self value, independence, infatuation and frailty. Using stark contrasts, challenging lyrics and serene melodies, she delves into what it means to be human. “I compiled this album as an exploration of our humanity. I wanted to tackle issues we often face as a collective without realising that we face them. We often overlook the frailty of our emotional state and how often our feelings are influenced by others. It is a culmination of years of reflection and song writing and I’m excited to finally share it with the world”.